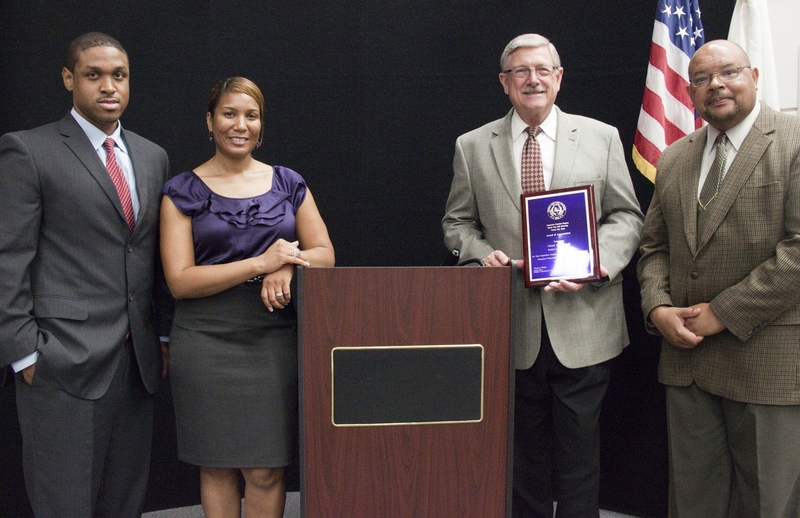 Waller County Judge, Glenn Beckendorff, receives appreciation award from Jimmy Henry, coordinator of the Cooperative Extension Community & Economic Development Program, LaRachelle Smith, program specialist, Community & Economic Development, and Dr. Richard W. Griffin, acting dean, College of Agriculture and Human Sciences at PVAMU. Extension Community and Economic Development Program. issues that were of concern to them about emergency preparedness. radio and cash. Vehicle fuel tanks should also be filled. 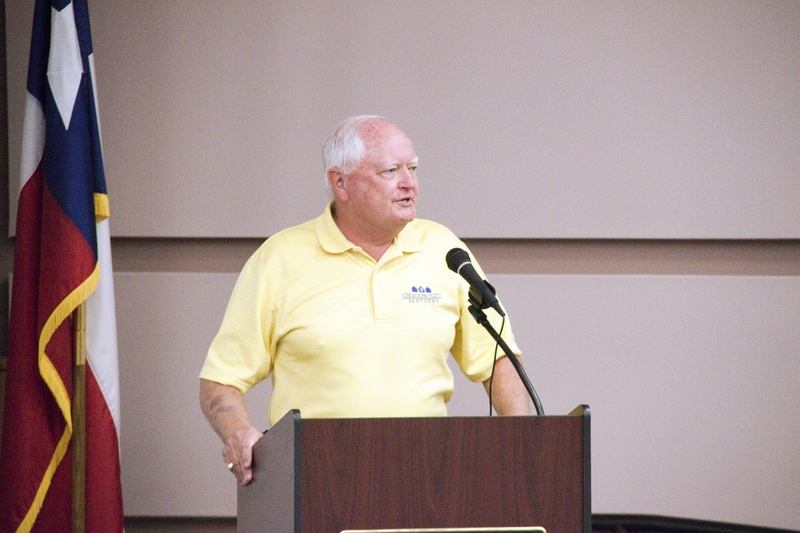 Don Elder, Jr., Mayor, City of Katy, addresses Emergency Preparations Summit audience. 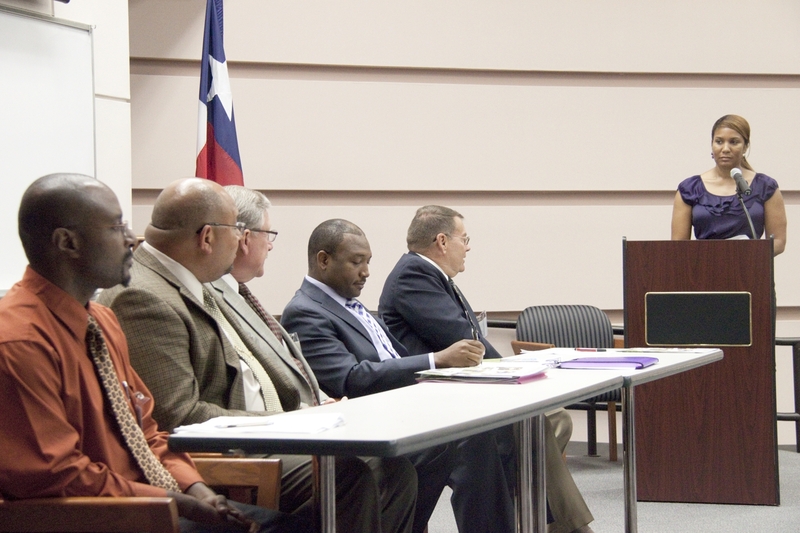 LaRachelle Smith, program specialist, Community & Economic Development, standing, moderates Emergency Preparations Summit Panel, which consists of, from left, Noel Estwick, information specialist at PVAMU, Dr. Richard W. Griffin, acting dean, College of Agriculture and Human Sciences at PVAMU, Waller County Judge Glenn Beckendorff, Dr. Gbenga Ojumu, instructor, College of Agriculture and Human Sciences at PVAMU and LtCol (Ret.) Keith Stephens, director, Corps Cadets Center at Texas A&M University. This entry was posted on Friday, September 9th, 2011 at 9:57 pm and is filed under Community and Economic Development, General CEP News. You can follow any responses to this entry through the RSS 2.0 feed. You can leave a response, or trackback from your own site.